On Sunday's Only Appointment.Both Walk-in and Appointment. I have visited dr Gaurav Chhabaria for removal of wisdom teeth. Dr is very co operative and very nice during surgery. I will recommend 100% for any of teeth or mexilofacial requirements. 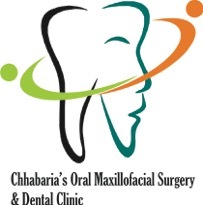 I have visited Dr Chhabaria's clinic for removal of my impacted teeth. Dr is very much confident and knowledgable and also explained everything so nicely before surgery. Also a very co-operative and answers gently over call as well. Recommendable.